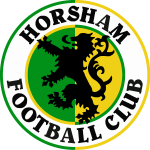 Josh signed a two year contract with Brighton & Hove Albion as a teenager in 2009, during which he made 18 appearances for Horsham on loan. 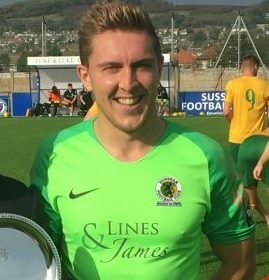 After his release by the Seagulls he spent two years at Rye United before establishing himself as Hastings United’s first choice stopper, via spells at Sidley United and Eastbourne Town. A serious injury ruled him out for the second half of the 2015/16 season but he made the switch to Horsham in August 2016 and scooped the manager, players’ and supporters’ Player of the Season awards only to return to Hastings the following summer and then to Dorking Wanderers in September 2017. Rejoined the Hornets in January 2018.